For over the past 90 years Davitt & Hanser has grown into one of the most trusted and respected MI distribution brands in the United States. Founded in downtown Cincinnati, Ohio in 1924, the company took root in retail sales and service, eventually evolving into wholesale distribution and manufacturing. 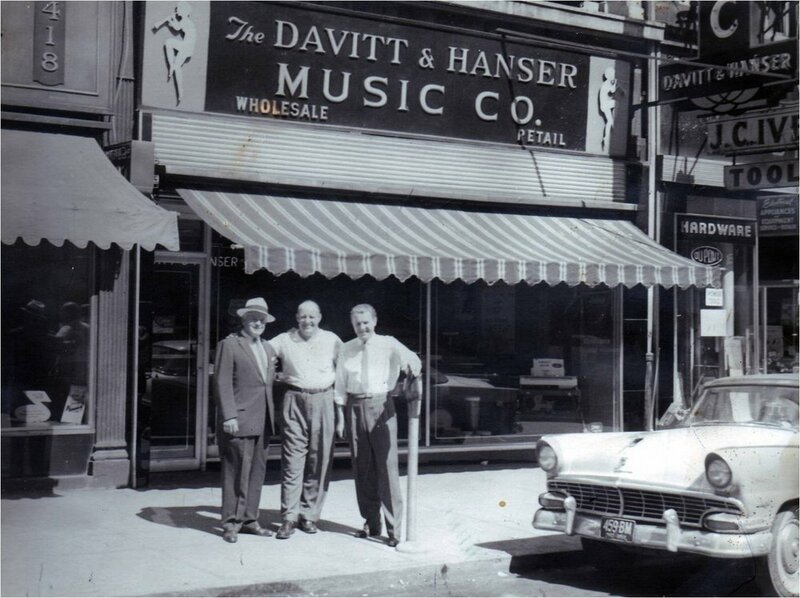 Today, some 9 decades later, Davitt & Hanser can still be found in downtown Cincinnati, now being located in the Historic Longworth Hall Building. We invite you to contact us today, and provide us the opportunity to show you how our history has allowed us to be prepared for the modern age of distribution. The value and appreciation we have for our retailers and vendor partners cannot be overstated because without them, we wouldn't exist. That is why we have carefully selected and assembled a portfolio of brands we believe are positioned for success in a market constantly adapting to meet the ever increasing demands of our consumers. At Davitt & Hanser, our company's mission has been, and will continue to be in providing forward thinking go-to-market strategies coupled with an extensive distribution network, and a service oriented sales approach. DAVITT & HANSER IS A DIVISION OF JAM INDUSTRIES USA, LLC. A musical visionary founded JAM based on his passion of delivering music. Today, delivering music remains his passion, albeit the channels in which music is delivered have changed dramatically. More music is being created, recorded and performed now than ever before - and JAM is in the unique position of seeing the new world of music unfold from a fantastic vantage point. Recently named one of Canada's Best Managed Companies in 2018, JAM is committed to delivering music across all channels for decades to come.